Shout out to all the excellent people I met from Khidr Collective just over a week ago. The collective want to help young people from Muslim backgrounds develop their creative and artistic skills. What they were saying sounded all too familiar to me. Younger people with BAME backgrounds often getting over-encouraged to become doctors, lawyers and accountants and go into similar ‘safe’ jobs. Hitting walls when trying to get elders at our community centres and places of worship to recognise that younger generations want to go into the arts and and could do with support. And the arts wants us too. They need us. I love meeting people who not only have things in common with you, but want the same things as you, and take it upon themselves to try to make those changes. Like putting together a zine. The tradition of doing things yourself is one that I like very much. I loved that the collective were on tour, even though there wasn’t a musical instrument between them and they weren’t performing anywhere. That’s the kind of tour I can get on board with. The group are based in the London area, but were travelling around the country to make connections and squeeze in a trip to the theatre before heading back down. They packed a a lot meetups in on their day in Manchester, appearing on the radio, interviewing local visual artist, @aymussa and then coming to meet me. We met in Rusholme in Jaffa, one of my favourite places to eat falafel and Arabic salad, then they asked me if I wanted to join them as they met up with Saffa in the city centre. We all had a nice chat then joked about joining them on their next stop in Bradford, this group of brown creatives snaking through the north of England with the snake growing longer and longer at each stop. 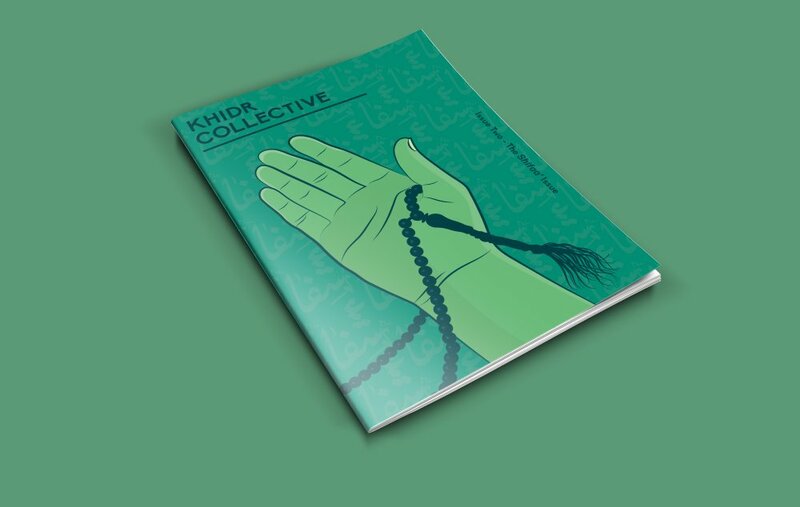 Oh, and Khidr Collective Issue Two is not just beautiful, it’s also full of interesting work; poetry, illustration, interviews, articles and more.